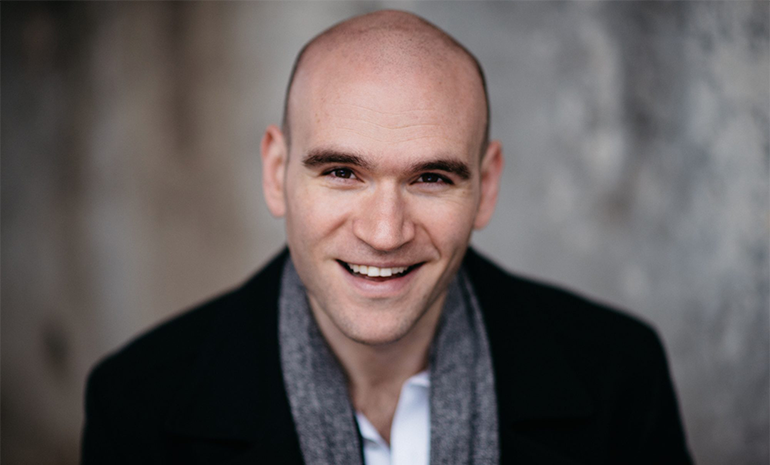 Michael Fabiano’s voice has taken him places he could never have dreamed of as an all-American boy growing up in Minnesota. In 2007, Fabiano beat out thousands of other hopefuls to win the Met National Council Auditions and since then, has ticked milestone after milestone off the list. But the chiselled-jawed tenor wishes to be known for more than the voice which is making him famous. A baseball enthusiast, car-aficionado (he even blogs about them) and ex high-school debating champion, he is a man with many strings to his bow. On that note, Fabiano isn’t particularly interested in those he terms “singer-singers”. It is as though he is anxious not to be put in a box, or at least to have the chance to craft the box he is put in. Perhaps it springs from his experience as a participant in the documentary The Audition – at the tender age of 22, as he vied for a win at the Met Council Auditions, his life was put on show in a carefully edited hour that brought out his intensity, drive and competitive spirit. None of those labels are inaccurate, but they perhaps left out his easy charm, intelligence and willingness to collaborate with colleagues. Years later, the promise he showed at those auditions has blossomed into what critics and journalists are calling a meteoric rise to fame, the start of a career that could rival Caruso’s. He can’t identify the ‘moment’ when he knew he’d made it, although it’s a question he is asked all the time. 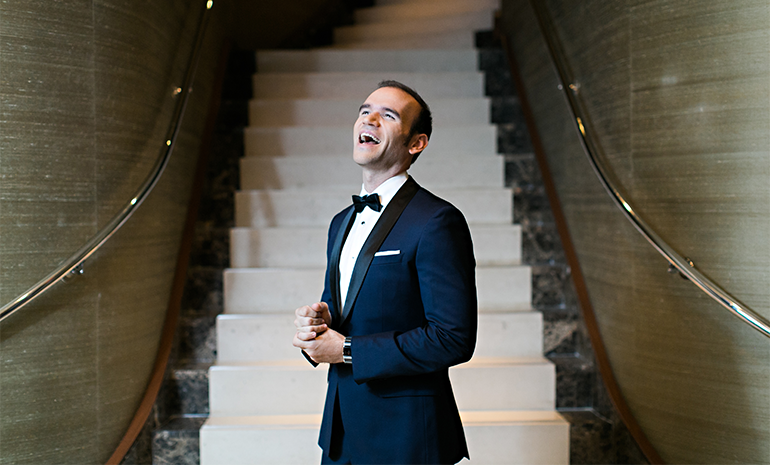 He lists lots of “wonderful experiences” along the way – making his debut at the English National Opera singing the Duke in Rigoletto, singing Verdi and Donizetti at houses as prestigious as the Metropolitan Opera and the Paris Opera, singing alongside superstar Renee Fleming at San Francisco Opera. Across America and Europe, houses are clamouring for the young tenor. He made his Glyndebourne debut as Alfredo in La Traviata this year, and will open the festival next year in the rarely performed Poliuto. By anyone’s standards, it’s a brilliant start to an opera singer’s career, capped off by winning two of the opera world’s most prestigious awards: the Richard Tucker and the Beverly Sills Artist Award in 2014. Worth a cool $100,000 combined, they’ve never before been won by a single artist in the same year. But then along came Michael Fabiano. Opera Australia’s Artistic Director Lyndon Terracini jumped at the chance to cast him. “He’s one of the greatest young tenors in the world today,” he says. He doesn’t want to “get lost”, he explains, which can happen to young singers who just fall in line.